My favorite thing about working at Hungry Hound is the people. Our staff is fantastic and my clients are amazing. Yes, the dogs are pretty great too! As a groomer, my advice is to always brush your dogs. It creates a wonderful bond between you and your pet. I would also recommend that you choose a groomer that both you and your dog are comfortable with. It is important to find one that can answer your questions and offer tips on how you can care for your dog’s coat in between grooming appointments. I will also happily take the “tough” customers. Grooming senior dogs or those with special needs can be challenging however I’m always ready and willing to work at giving them a stress-free grooming experience. They need to be clean and beautiful too! When I’m not at Hungry Hound, I enjoy spending time with my own two dogs. 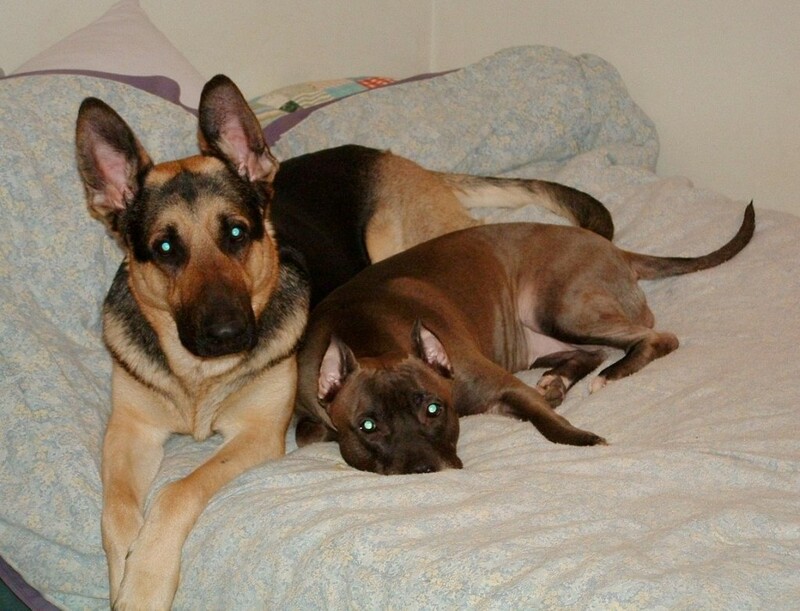 Cydney is my 4 year old German Shepherd Dog and Nu is my 7 year old American Pit Bull. 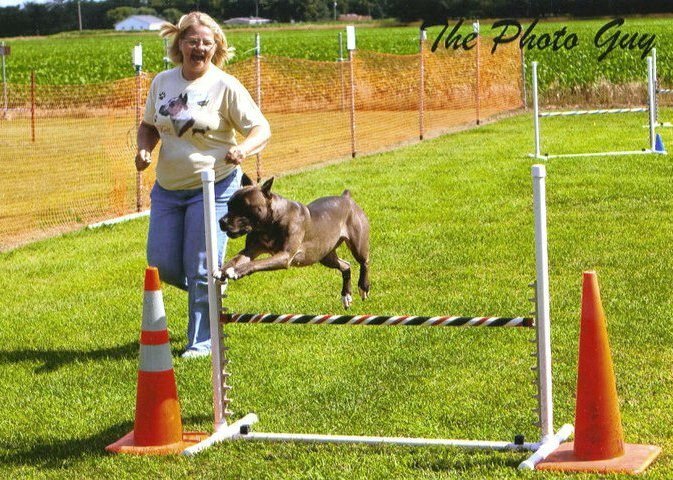 I train both dogs in agility and currently show Nu at agility trials. If all goes as planned, I’ll also be showing Cydney later this year! Horses are another passion of mine so I spend as much time as I can at a friend’s horse farm.